Back in October I wrote a post about how we have been land hunting. Our current house was never intended to be our forever home, it was always a place we planned to live in for five or six years, fix up (and make all our DIY mistakes on, if that’s possible), sell, and move on. We’ve owned this house for almost seven years now, and we are ready for the next adventure. 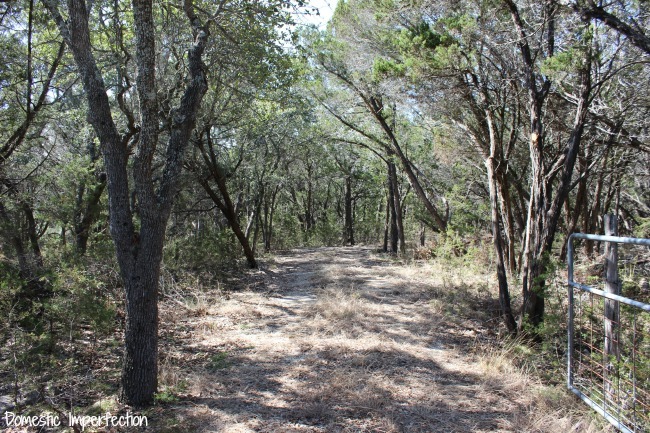 So we’ve been searching for a piece of land for about a year, scouring realtor.com, walking properties on the weekends, and generally becoming very well acquainted with south central Texas. We’ve gone from looking for an already existing house to fix up, to what Adam and I have dreamed of since we were teenagers…to design and build our own home. We’ve always wanted a minimum of five acres, either in a nice neighborhood with loose restrictions, or something that isn’t in a neighborhood at all (Adam wants to be able to hunt on our land). We put in an offer on a six acre lot that didn’t pan out, dreamed of putting in an offer on a beautiful unrestricted 11 acre lot that we couldn’t afford, and for a few weeks Adam had me convinced we were buying a 23 acre gentleman’s ranch and renovating it’s 1920’s farmhouse. 1) It’s only 2.5 acres, and we wanted a minimum of five. 2) It’s was expensive, nearly as much as a five ace tract. 3) And the last reason, the one everyone makes fun of me for…you can hear the highway. It’s about 1/3 mile away, so the noise isn’t in-your-face…it’s more background noise. It’s not the end of the word and I will get used to it, but for now it drives me absolutely crazy. But buy it we did (after Eric decided on a different lot – we’re not jerks) and I’m really excited about it. Anyway, enough with the words…lets get to the tour! We’ll just start at the front of the property and work our way back. 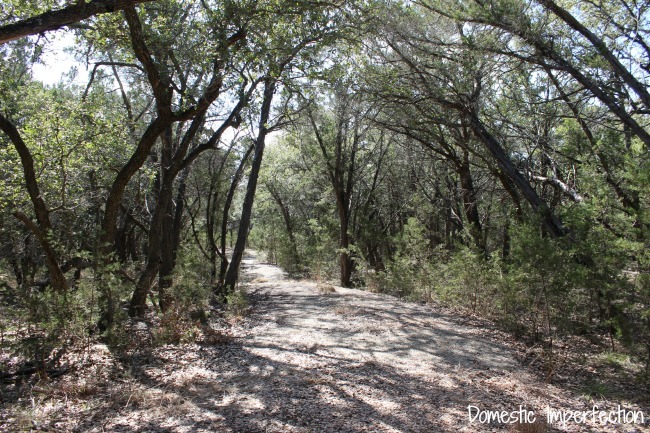 The property has some great features, and one is that it already has a driveway in place. This might not look like much to most of you, but here in the boonies it’s a big deal. It’s takes a lot of man (and woman) hours to get the land cleared enough to drive a car thorough. I love that the trees surround the driveway and it looks like a tunnel. Most of that will have to leave when we start the serious clearing, but for now I’m enjoying it. And here, right in the middle of the property, is where the house will go. If you look through the trees and into the distance you can see the ridge line, and once we get all the cedars cleared out we will have a pretty great view. All the neighbors across the valley have already built as well, so there won’t be any future view-diminishing houses popping up. Here it is again, this time standing on the future back porch. I know… we have our work cut out for us. He designed it, welded it, the whole shebang. It’s a beast of a picnic table and will probably outlive all of us. And here it is to the right. My boys find this stack of cedar logs fascinating, Elijah says it’s a “soldier fort” and that a long time ago real soldiers lived there. I love it…kid imaginations are the best. In the very back of the future backyard there are some concrete steps that a previous owner put into place. I’m really glad he did this, because it would be a TON of work to do ourselves. It’s a lot of steps too, and embarrassing how out of breath I get walking up and down them. That’s just the pregnancy though…it’s gotta just be the pregnancy. 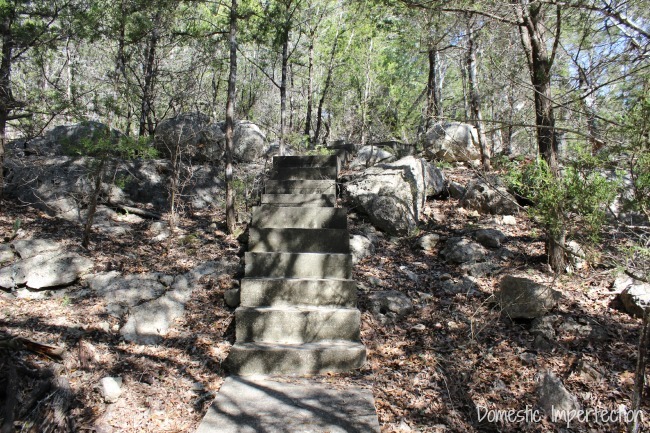 Where the steps end there is a little flat area….this is the future party area. I see a patio, BBQ pit, boom box (do people still use those? Am I showing my age here? 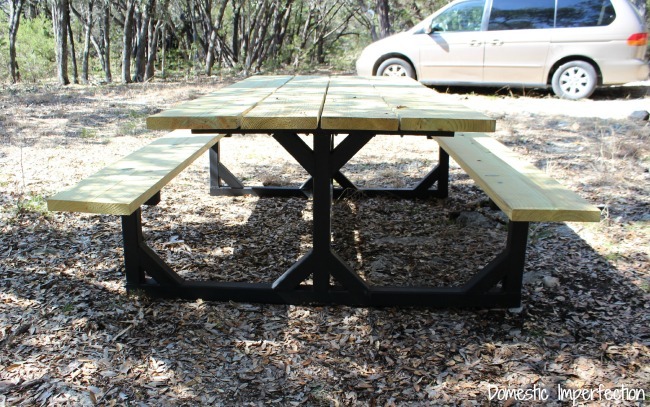 ), dads picnic table, a fire pit…the works. Lots of cedar to clear before we get to that point though! And now, finally, the real reason we bought this lot…. 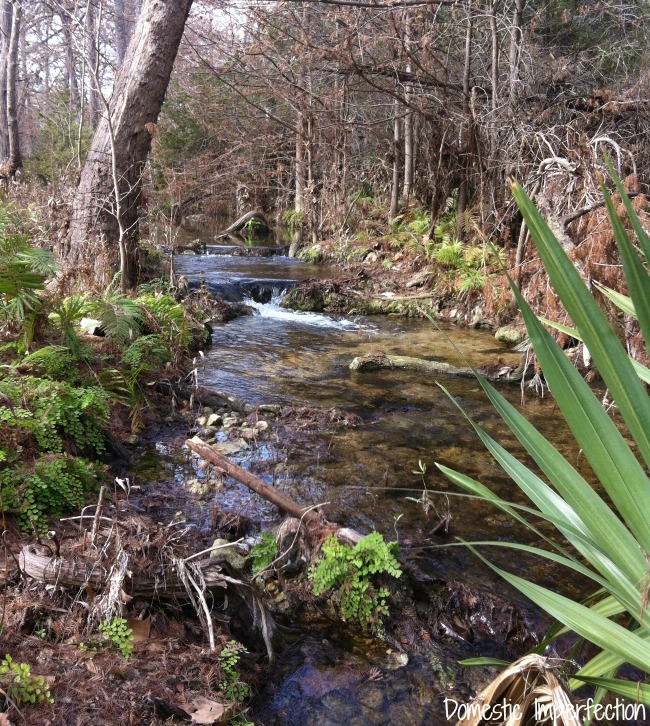 On this lot is a spring fed creek that runs year round, even in the worst Texas drought. It literally comes bubbling out of the ground about 1,000 feet to the north of us and is crystal clear. It’s surrounded by giant cypress trees and ferns, not something you see a lot of around here. The boys love it, and they physically cannot stop themselves from hurling every rock, stick, and leaf they can find directly into the water. Right now it is the middle of winter and everything is dead and brown…this is as ugly as it gets. I have a few phone pics that I took when we first started looking at it in December, right before everything died completely. Some of the ferns are starting to pop up and in a month or two this area will look completely different. I can’t wait to see what it looks like in spring! As far as the house plans, I drew up our first set of plans on grid paper (you can see a sneak peek here), and Adam transferred them to a program on the computer. Currently an architect is looking them over and fixing all the stuff we messed up (because we honestly have no idea what we’re doing). We’re in the process of meeting with builders and trying to decide exactly what we want and can afford, and Adam and I have been collecting inspiration pics like it’s our job. I can’t wait to show you the direction we are headed! I honestly have no idea when we will break ground…it is likely to be about year from now, but may be sooner if everything falls into place. The plan is to have the builder complete the outside of the house and for us to do the inside (like flooring, trim, cabinets, plumbing and lighting fixtures), hopefully resulting in a really nice house that is actually affordable. Anyway, expect lots of inspiration pics in the future. Yay for new adventures! congratulations–it’s lovely! 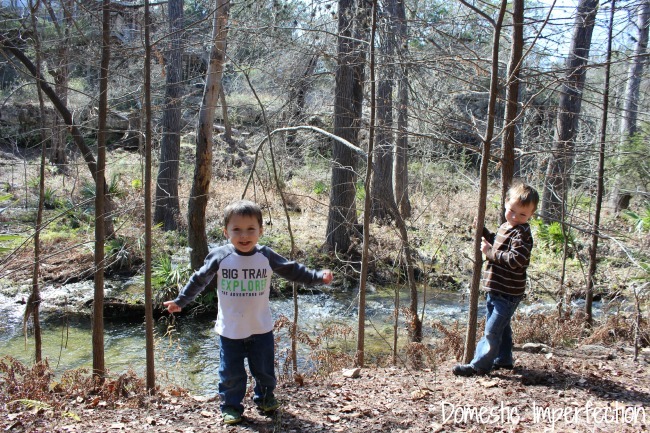 My kids really miss the creek we had at our old house; yours will have so much fun splashing in there! Congratulations! What a wonderful fulfillment of your dream—or at least the start of fulfillment! When it’s such a private setting, the smaller acreage is less of an issue, IMO. I’m with you on the creek. Water of some kind was near the top of my wishlist for our dream property, and now our creek and pond are my favourite features of our farm. 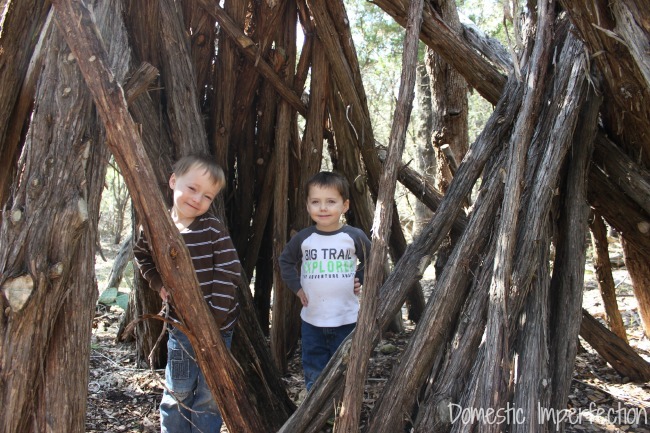 What a great experience for your kids to grow up in this setting and be part of building your family’s home. Thanks Julia! 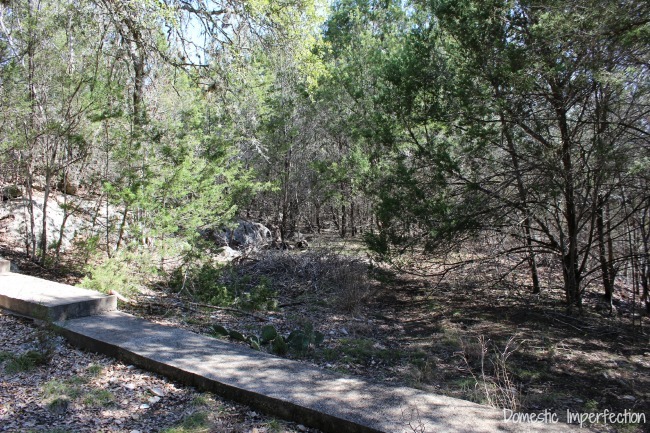 It is a pretty private, it backs up to a ranch on one side and the other side is an empty lot. I’m hoping to (one day) buy the lot next door and make it a full five acres, then it would be incredibly perfect. The lot isn’t for sale or anything, but I’m thinking a letter to the owner asking to buy it would do the trick! Ashley, you’ve designed and built my dream home. 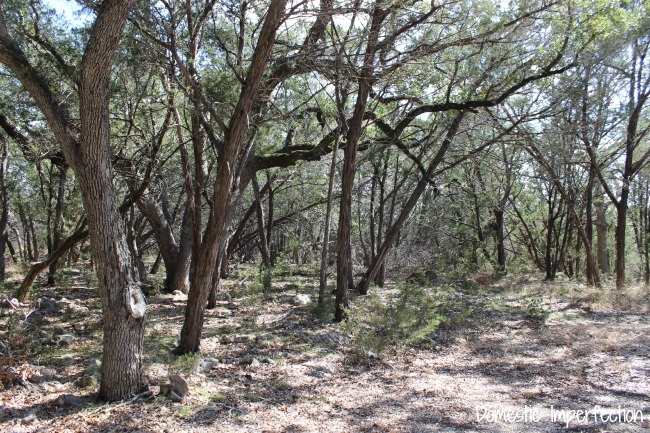 We recently purchased 5 acres on the Guadalupe, and want to build a VERY similar home (with minor changes). Can I purchase a set of your plans? Who drafted your plans? Who is your builder? Thank you! A beautiful lot indeed! Congratulations! Have that baby already and get to it! What a very exciting year you are going to have. So many things just around the corner. So glad to see the pictures. What fun that stream will be! Can’t wait to see more of your plans. Super exciting! The class moves around, so there may be one close to you sooner or later. You are taking on an awesome part of Texas waters and can make a real difference in the local and state-wide environment. Congrats on the beautiful plot! Hey Allison, do they offer any of these classes online, or are they just in person? This is beautiful. Can’t wait to read what projects you come up with for your new house! That is absolutely gorgeous! I grew up in a small town neighborhood with lots of woods and streams. Your kids will have awesome memories! I can’t wait to see the house! Congratulations!! This is so exciting! It really is gorgeous. Good to see your faces. Congrats! I love traffic noise myself. (No, I don’t live in the city; I, happily, live in the country). My grandparents lived in a condo with an expressway just over the fence that went around the parking area. Even though my parent’s house was in the woods on a dirt road (so traffic noise wasn’t my norm), I loved staying at my grandparents. When staying there, I loved sleeping in the room by the expressway. You couldn’t hear it during the day due to normal household going-on’s, but at night it was a soothing, not-very-loud drone. White noise. Your baby’s going to love it. This is a very encouraging comment, I’m hoping to love it one day too! Though our noise isn’t something you could ever hear from inside the house, just when your outside. Funny thing is that our new lot is actually FURTHER from the highway than our current house, but it never bothered me so much here because I knew it wasn’t our forever home. 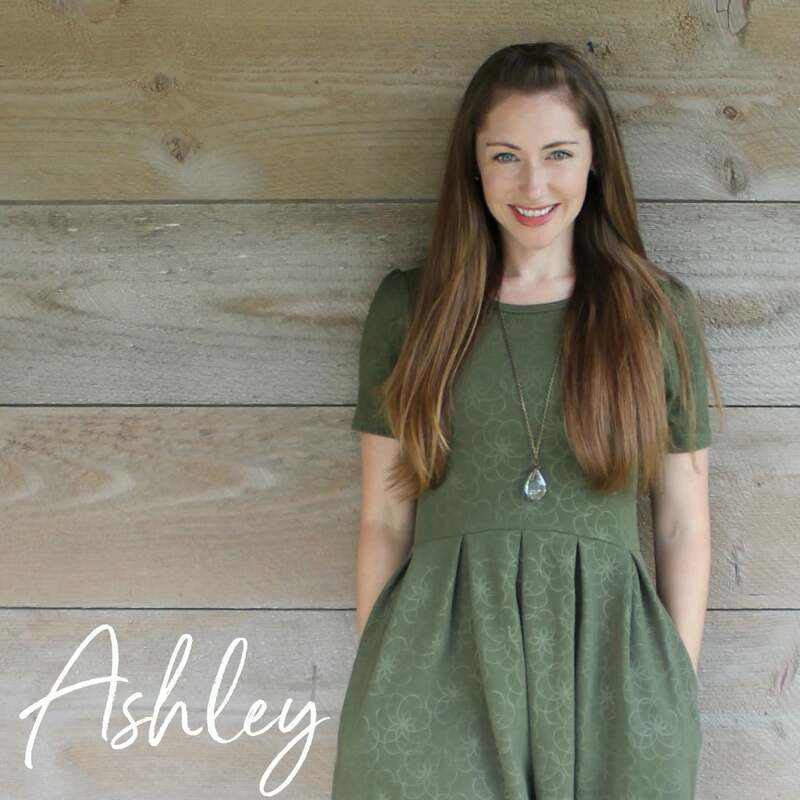 Ashley, it’s beautiful!! Maybe smaller than you originally wanted, but oh so pretty. My exhusband and I built a house once (not the reason he’s my ex, mind you ;) ) and it was one of the most fun things I’ve ever done. Enjoy the process! Congratulations! The good thing about having to clear trees is that you have timber for other projects. You definitely have to put in some time trying to decide what to do with all the wood. Maybe start with cedar closets and go from there. Thats true, we are going to have a ton of cedar poles. Right now we are planning to save as many as we can and sell them for fences or something. If we can make some extra money off of all our pesky cedars that would be great! 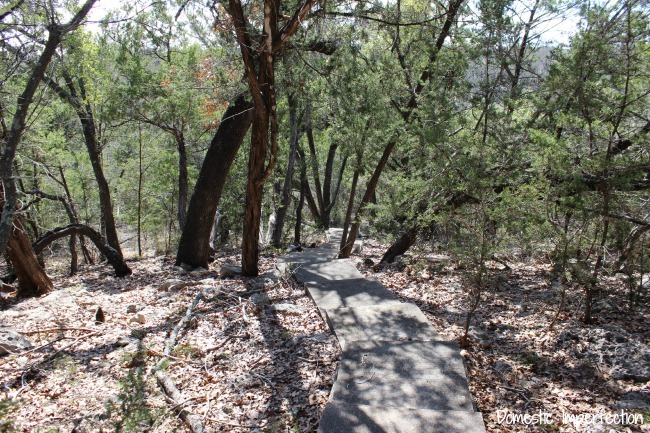 I have been to south central Texas a few times and was struck by how green it is, so can imagine what it will look like in the summer. What a beautiful place to live and for your children to grow up. Let the dreaming begin! What an adventure! Congrats on the property purchase! Your boys are so cute! I love it! It looks perfect! What area is it in? Y’all definitely have your work cut out for you but it will be so worth it! We want land so badly but cannot afford it right now. Plus I always joke that I would NEVER see my hubby if we had land because he would always be out working on it! Haha. If you e-mail me that question I’ll tell you right where it is :) And trust me, it is absolutely killing my husband to not be out there destroying cedars everyday! That’s awesome! 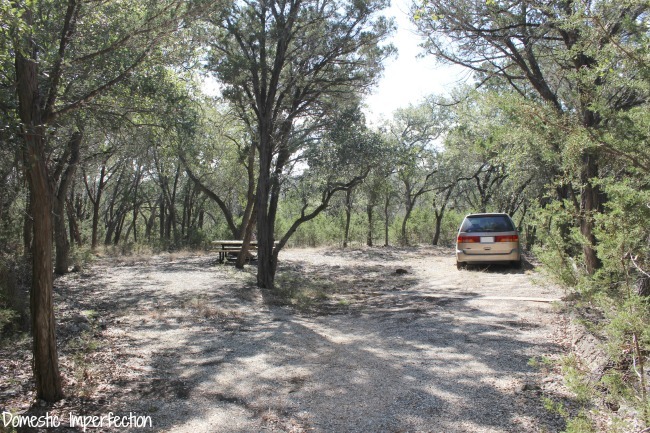 That’ exactly the kind of place my hubby and I are looking for – about 5 acres without deed restrictions so we can put a trailer out there to camp on/hunt on until we are ready to build. 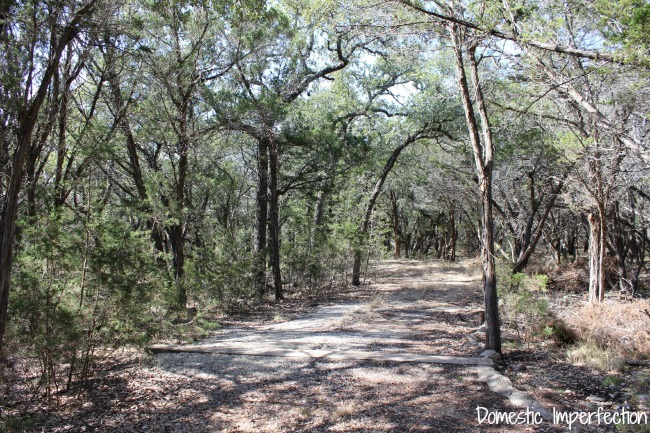 We are looking in the Austin/Dripping Springs/Driftwood area to be closer to Lake Travis. Awesome find, and good luck with your adventures! Can’t wait to see your progress – after you two are done healing and having babies and such, of course! I’ve been there, where it’s been a far away dream. I remember living in our teeny apartment in upstate New York, completely broke, sharing one old car that didn’t even have a heater, thinking we were never going to make it out of that stupid apartment. It took us 11 years, but here we are, designing our own home. Just work hard and never stop dreaming, you’ll get there! Wow – how exciting! I’m excited and it’s not even my land. I can’t wait to follow along and to see the direction and progress as it all unfolds. Congratulations! 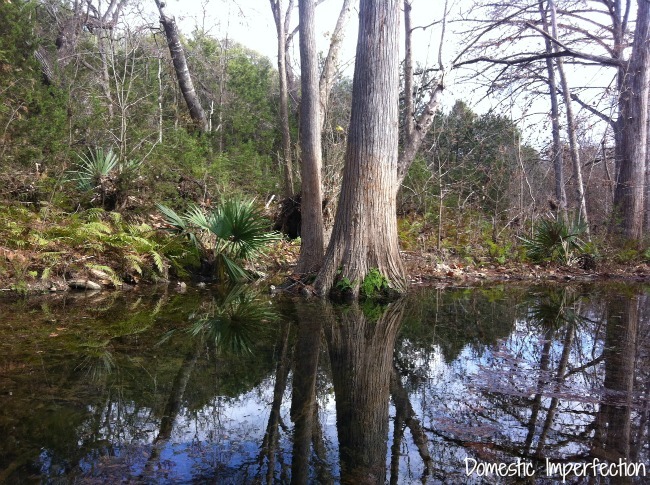 I also live in the hill country and love our property, although we weren’t lucky enough to find a lot with water. We can also hear the traffic noise, even though we’re a half mile or more from the road, but you will get used to it and not even notice it. Good luck on building your house! That is so awesome! I can’t wait to see your updates. 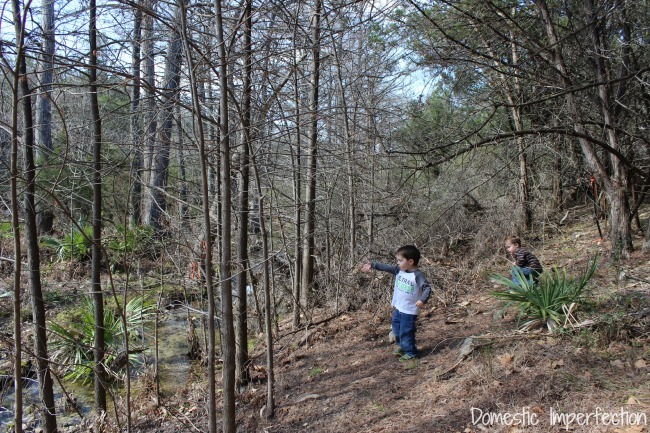 We have a creek behind our last house (rental) and my young son loved tossing in stuff. It’s one of the few things that would entertain him, so we were out there most days! We were excited to see our new house had one too, but then found out it’s a bit too steep & fast to let the kids play like that. Little sis will have to miss out! My husband had a creek at one of the houses he grew up in (also a rental) and I think that is part of the reasons he was so excited about this one. I’m also really glad it isn’t any bigger (it’s about two feet deep at it’s deepest) so that it’s a fun place to play without being something I worry about 24/7. (Not that I’m going to play down there alone, at least for a few years). What a beautiful place to bring up your family. Take your time and enjoy it because it goes in the blink of an eye. 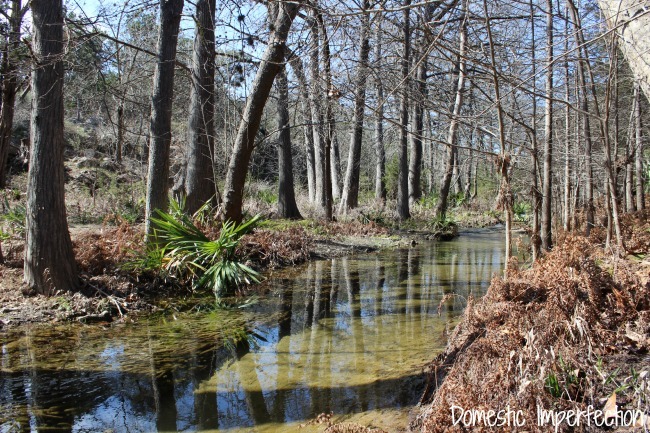 I have a creek that runs through my property (5 acres) and I love it. 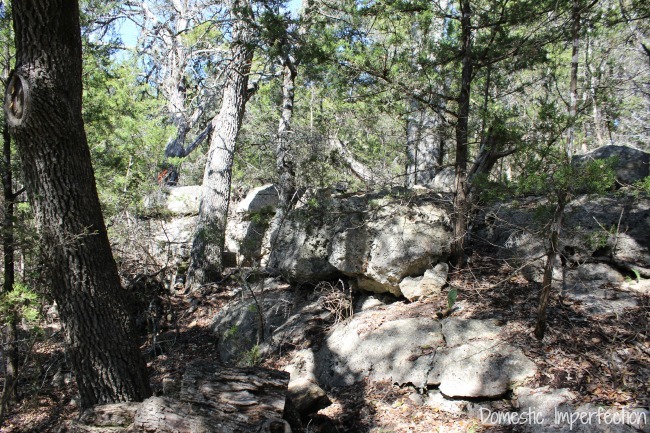 There are a few areas that are rocky and when it rains a lot, sounds like a waterfall. to see what you do with the next! We are designing our house now, and it is just what I’ve always wanted. Can’t wait to show y’all our plans (and get everyone’s input…there are SO many choices to make). Looks amazing! The Army was actually all set to send us to the San Antonio are this summer but we just had our orders changed and are heading somewhere else. But for a little while, I was scoping out property in the area. Haha. 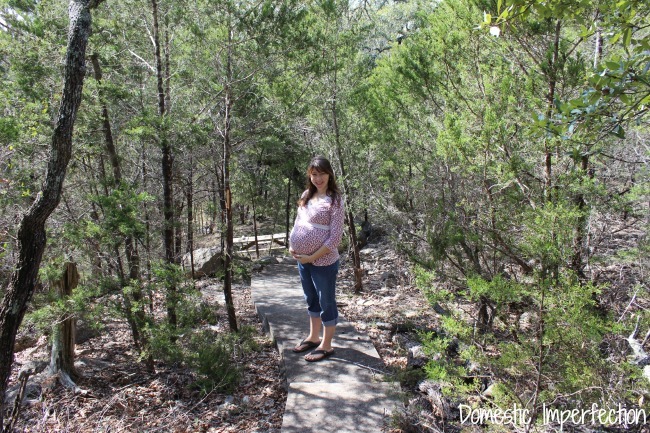 I think you would have loved San Antonio…it’s nothing like Oklahoma :) Do you know where they are sending you next? Ya’ll are in DC right now, right? I think I would love that part of TX too (not a fan of the Dallas/Ft. Worth or Houston areas). Yup, we’re still in DC. We will be going to Ft. Leavenworth, KS for a year. After that, who knows? Probably San Antonio. Haha. Check out Deltec homes it would look amazing on this piece of property. Not to mention the work I could see you doing on the inside! Oh wow, Ashley! What a gorgeous piece of the earth. 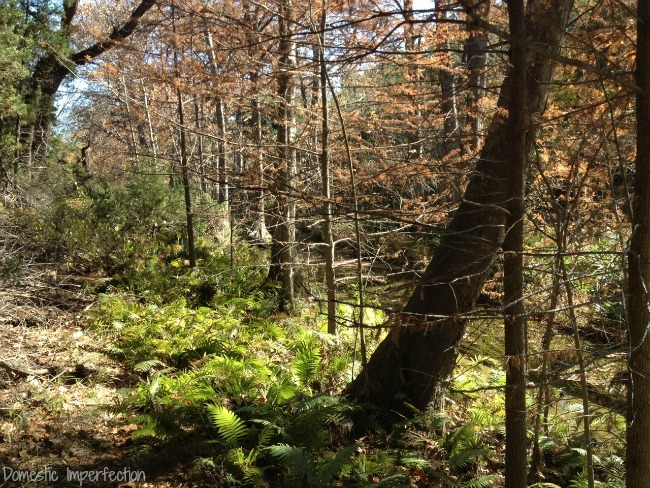 The forest is so beautiful – those wavy, criss-crossy trunks aren’t the cedars you’re cutting down, are they? How exciting, and a beautiful place to come and play and have picnics this summer, even before you start to build. Yay!! Yes, those wavy criss-crossy trunks are going. 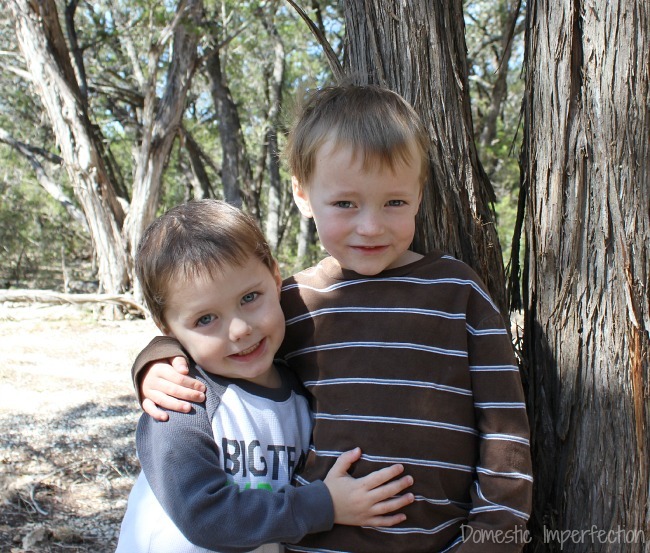 Remember cedar fever…those bad boys are the culprit. I’m a little nervous to take them all out (I don’t want the property to look empty) but then I see property that has been properly cleared and it looks amazing. The cedars are water hogs and kill all the oaks, not to mention that cedars and grass can’t seem to co-exist. We’ve already had a handful of picnics out there, and it always makes for a great afternoon (and some ver muddily little boys!). Well that’s unfortunate, but I’m sure it will look and be amazing once you’re done with it. And you’ll have to build your new house with a good, big mudroom! As another fellow Texan I can TRULY appreciate what an awesome “find” your piece of property is. WOW – it is so beautiful. I look forward to reading every detail of the development of this beautiful homestead. Congratulations! Always remember the joy you feel today and do not let the stress of the building process make you question your decisions. Perfection when building will drive you crazy and the mistakes we made turned out be some of the things we loved most. Thank you Mari! I can already see how building will be stressful, but I’m going to try and be really laid back about it and just enjoy the process. 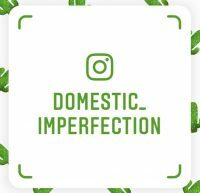 Perfection is overrated anyway, right? I can’t believe how clear the water is in that brook! Lovely! Congratulations on the purchase and have fun designing the house. I look forward to reading more about it now that I binge read your blog and saw the transformation of the starter home. Congratulations! Your land is beautiful and looks so relaxing. I don’t know if you have found a builder yet, but if not, I recommend Frank at Devine Oaks Custom Homes. He is an amazing man, excellent builder, and has been building custom homes for about 40 years. I grew up in a house he built and he built my sister’s house. I highly recommend him! Again, congratulations on your land! This is the exact kind of lot my husband and I dreamed of finding where we live, but no such luck. 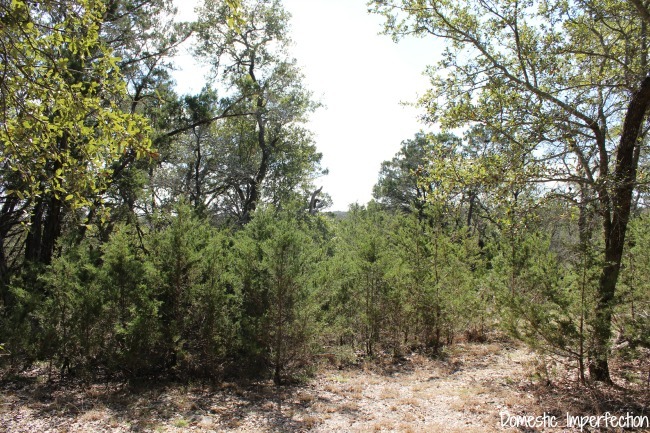 You will be glad there are only 2.5 acres when you have to manage the overgrowth, ticks, leaves, etc. What a delightful place for the boys to live! 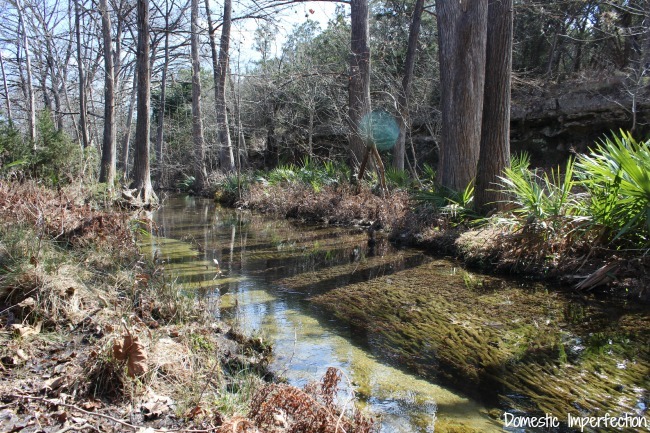 Streams, wood for forts, and so much potential. You are young and will have many happy years there. Congratulations! And the baby and boys are beautiful. Your land is gorgeous! 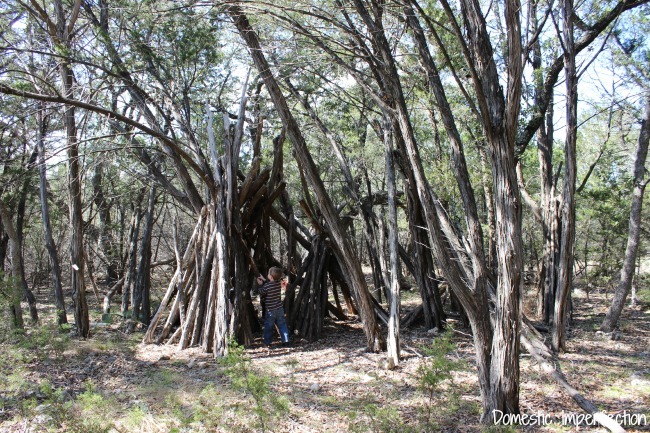 I just found your blog and am so excited we live in New Mexico and are planning to build a “Barndominium” next year. 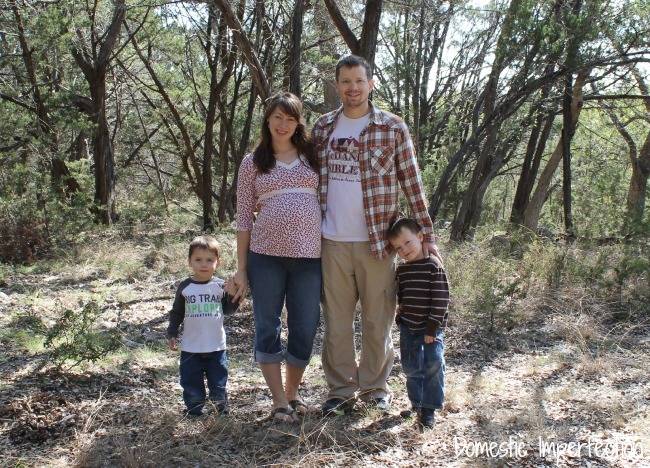 I’m from Texas and my favorite style is the Hill Country German farmhouse (with contemporary edge), which led me to your blog! Also, re: highway noise–not only will you get used to it, it’ll become a lullaby. It’s the best white noise ever!